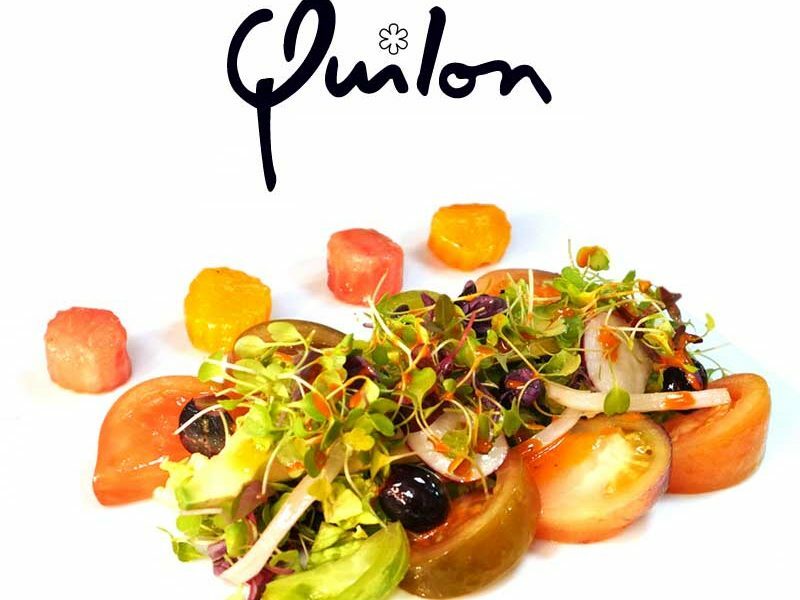 Tens of thousands of people from all walks of life came together last month to experience the extraordinary variety of food and drink being exhibited at the ExCel centre in London. Some 30,000 people from 108 countries attended the 20th edition of the International Food & Drink Event (IFE), 19-22 March, to meet suppliers and businesses from over 60 countries and visit over 1200 exhibition stalls showing off the latest culinary delights and food tech. 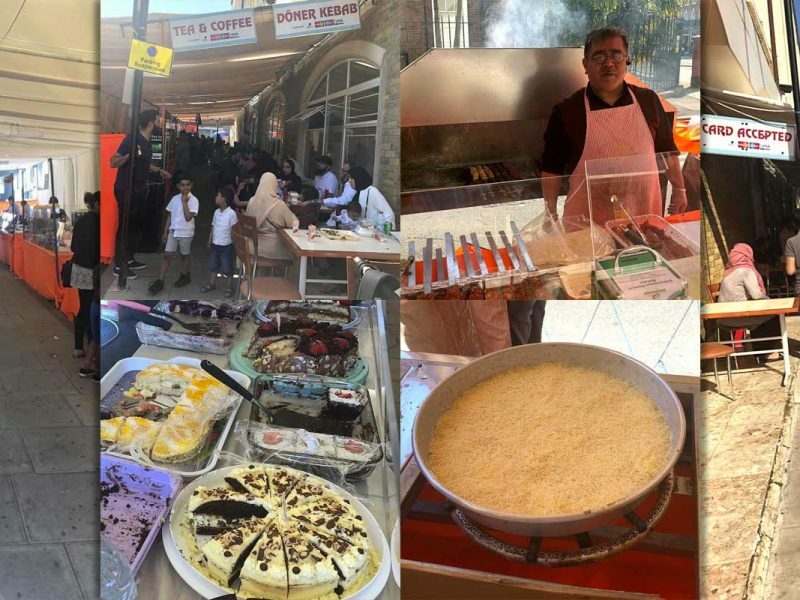 For five days, the Royal Victoria Dock was the place to be for food enthusiasts and lovers of cultural diversity, with “Great Britain & Ireland” being showcased in one exhibition hall and world “Grocery” directly opposite in another. 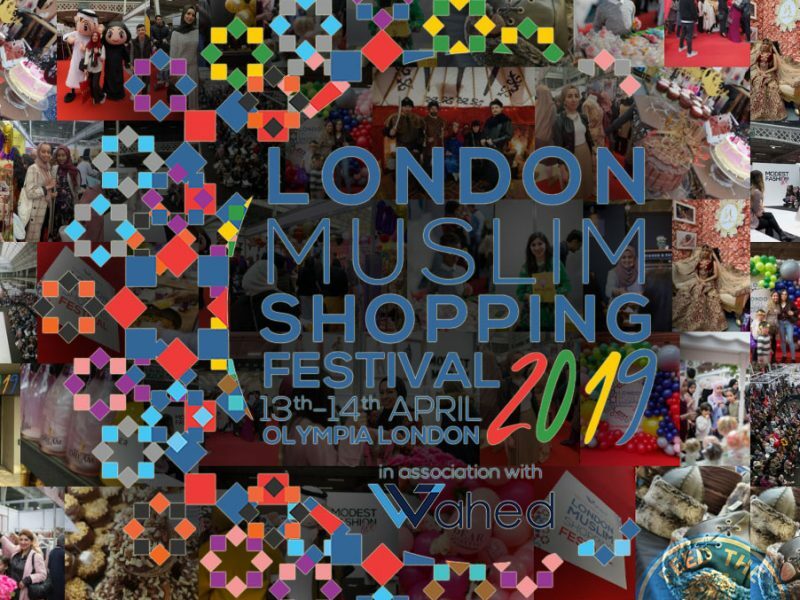 For those who couldn’t make it, or did but couldn’t find the time, Feed the Lion has collated a list of all the major national and international Halal and Halal-friendly exhibitors, including exclusive interviews with brand and business representatives, at the UK’s largest food and drink event of the year. See you again at IFE 2019! Shaun Gibbins, Co-Owner of Battle Oats. Battle Oats is a gluten free high protein brand of flapjacks and cookies created for those who enjoy an active lifestyle and who are looking for a healthier indulgence that keeps you fuller for longer. Caroline Beer, Marketing Manager of Boka Food. 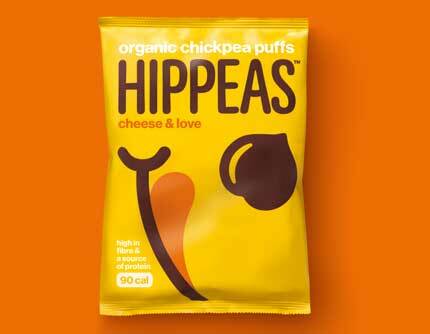 Boka Food is on a mission to produce healthier, great tasting snacks with four green traffic lights. Our Boka Bars are low in sugar, fat and salt; they are available in four flavours Apple & Cinnamon, Caramel, Strawberry and Choco-mallow. Angela Parker, Manager of Callestick Farm Ice Cream. Indulgent ice creams from Callestick’s Cornish farm, made with fresh whole milk, rich cream, fine confectionery & fruits … sorbets too. Tempting flavours – Try award-winning Clotted Cream & Raspberries, Clotted Cream & Bourbon Vanilla, Lemon Curd and lots more … retail and catering sizes. Craig Hughes, General Manager of Hippeas. Sophia Nadur, Co-Founder of Tg Green Teas. 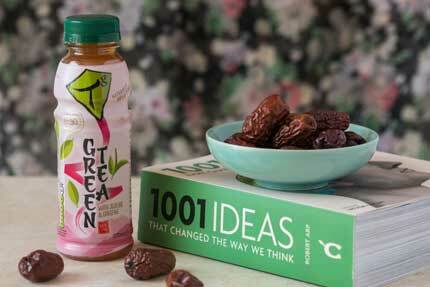 NEW award-winning range of tasty ready-to-drink, real brewed green tea blended with jujube and ginseng. A new-to-the-UK super-fruit, Jujube contains 7 times the vitamin C of blueberries and brings a delicious date flavour to this low sugar drink. 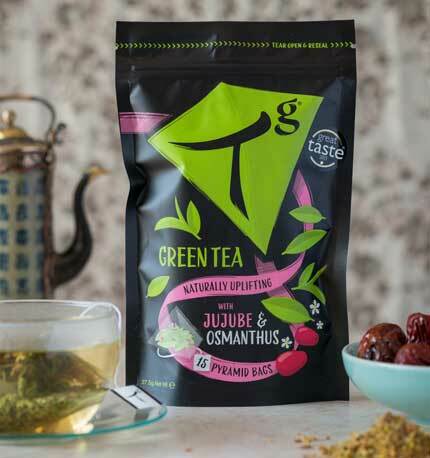 Organic and ethically grown green tea picked at its delicious best, blended with jujube & osmanthus – two ingredients with deep ancient wellness traditions. Winner of a UK Great Taste Award and a World Beauty Shortlist Award. Jayne Mugridge, Creative Director of Yarty Cordials. 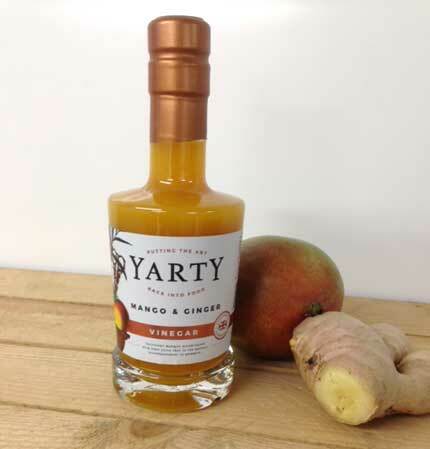 Handcrafted by Yarty in Hampshire in small batches, we have created a range of Premium Vinegar’s using fruit not concentrates, based on old family recipes. Andrew Foster, National Accounts Manager of AIB Foods – gourmet snacks (Halal accredited). Debbie Currie, Brand Manager of Beloved Datelicious Nutrition – date cereal, bars, and nectar. Sunny Samra, National Accounts Manager of Cofresh Snack Foods – Indian snack. Vincent Decamps, Sales Director of Dina Foods – bakwala, Lebanese bread wraps. Stuart Hancock, Sales Manager of Eat Real – grain snack. Ben Vear, Head of Sales of Emily Crisps – fruit crisps (Halal certified). Steve Baxter, Director of Foodie Flavours – natural sweet and savoury flavouring. Mark Salter, founder of For Aisha – baby food pouches. Terry Brush, Managing Partner of Garavogue Inc – corn or wheat broghies health snack. Darren Harrison, Production Manager of Get Fruity Foods – healthy fruit & oat bars. Deep Sata, Director of Granny’s Spices – Indian spices (Halal certified). Ian Wynne, Technical Director of Graze.com – healthy snacks. Naser Helal, General Manager of Abu Rasheed – coffees, vending. Shiraz Akbarally, Director of Akbar Brothers – premium tea trade. Muhammad Raghib, Exports Manager of Ashrafi Food – classic chakki flour, rice, vermicelli. Jacques Haenen, Sales Retail of Bilal Group – pizzas, poultry (Halal certified). Katarzyna Magiera, Key Account Manager of Crispy Natural – dried fruit and vegetable crisps (Halal certified). Mohsin Sheth, Business Development Manager of CK Foods – cheese, chicken finger foods (HMC certified). Paul Deep, Commercial Director of East End Foods – spices. Murat Senol, Export Manager of Elit Chocolate – Turkish truffles, gift boxes (Halal certified). Mahdi Hassan, General Manager of Emirates Delights Co – Saudi Arabiam. Tunisian, Palestinian dates. Anselm Birendra Perera, Director of Euro-Scan Exports – Sri Lankan tea. Said Merhi, Sales Manager of Flavour Tech – Tunisian noodles, stock cubes (Halal certified). Tanoj Shah, Managing Director of Gazebo Cuisine – snacks, ready meals (Halal certified). Nooruldeen Yaseen, Business Development Manager of Haddoud Salim – Algerian dates. Amaan Ahmed, Import/Export Coordinator of Himalayan Crystal Salt – contains essential minerals and trace elements. Michael Bogusoglu, Marketing Assistant of Ideal Pulses – Turkish pulses, lentils, bottled water. Annamaria Pentangelo, Export Manager of Karoma Caffe – Italian coffee beans. Masabur Rakhman, Director of Monzil – oat meal, teas, muezli bars. Gul-Nawaz K. Akbar, Managing Director of Mumtaz Foods – hand cooked ready meals. George Abughazala, Sales & Marketing Executive of Nakheel Palestine – medjool dates. Waheed Zafar, Director Sales & Marketing of Naurus – Pakistani pickles, chutney, sauces, jellies (Halal certified). Faith Ozzel, Export Director of Ozel Confectionery – Turkish sweets, chocolates, toffees. Momen Sinokrot, Managing Director of Palestine Gardens – medjool dates. Charles Li, Import & Export Manager of Qingdao Nine-Alliance – chicken poultry exporters. Arainn Cleland and M. Ali Chaudhry, Sales Directors of Regal Food – bakery, cakes, biscuits, cookies, snacks, crisps, pop corn, fruit juice (HMC certified). Adelaziz Azzouz, Sales Agent of Safex – vinegars, harissa sauces, mayonnaise, salad dressings. Harry Dulai, Managing Director of Surya Foods – basmati rice, mango pulp, pickles, frozen foods. Neelesh Agarwal, Sales & Marketing Manager of Top Op Foods Ltd – oils, pickles, chutney. Huseyin Celik, Member of Board of Tunas – Turkish halwa, tahini, jams, preserves, spreads (Halal certified). Beege Bourne Robinson, Director of Great Food Affairs – crisps, bread snacks (slabs). Giuliano Mai, Managing Director of Martorana Snacks – low fat pasta snack. Crispin Clay, Managing Director of Munchy Seeds – seed snack. Ron & Ed, Co-Owners of Original O’s – vegetarian savoury biscuit snack. 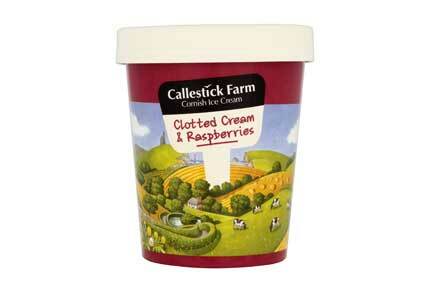 Rhian Williams, Director of Plas Farm – frozen yoghurt. Rosie Jay, Head of OOH of Proper Corn – popcorn snack. Kamran Tariq, Director, and Nas Awan, Project Manager of Sapna FS – food curry service. 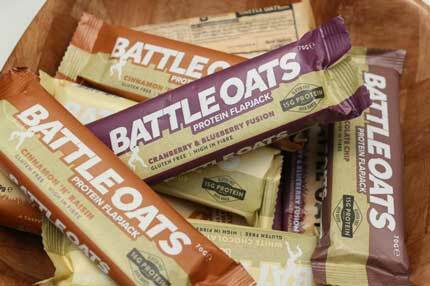 Tony Fullerton, Sales & Marketing of Stoats – oats bars, cakes, muesli. Scott Hall, Export Manager of Tommy Tucker – luxury popcorn. Pim Pritsangkulc, Marketing Director of TTA – Truly Ginger – crystallized ginger. Tim Wheatley, Director of Yorkshire Crisps – naturally flavoured. Zamil Zareen, Marketing Director of Zamico International Ltd – coconut water. Dash Organics is the new go-to provider of 100% raw extra virgin coconut oil, the health food of the moment. This brand new, premium organic oil is set to soar to the top of shopping lists everywhere, as increasingly health-conscious shoppers look for delicious new ways to fuel their bodies in a clean, sustainable way. Dash Organics’ Coco Splash Organic Coconut Water is free from added sugar or any other hidden nasties. Low in sugar and containing electrolytes, vitamins and minerals, Coco Splash offers a great way to hydrate and stay nourished. That’s us in a coconut shell! Amazing coverage. No idea there was such a large Muslim contingent. No idea what IFE was until now. Firstly, thank you for this invaluable list of businesses. Please check your email. I’ve sent you a few questions about a number of these businesses and your coverage. I’d appreciated it if you could get back to me soon. Thanks for getting in touch. Just responded.